Stir in the cooled, melted butter. Add chopped pecans and stir until crumbly. 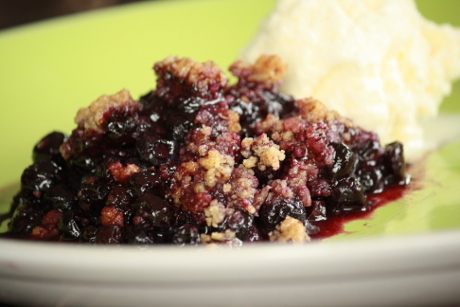 Place the blueberry filling in a 9×13 and cover with the crumb topping. Bake at 375 for 35-40 minutes until top is brown and blueberries are bubbly.